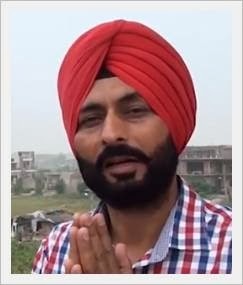 Raj Kakra is a Punjabi lyricist and singer. In his recent albums “Punjabio Chiri Banna Ke Baaz” and “Aie Bharat”; and many songs such as “Azaadi”, Raj Kakra has narrated the pain, anger and aspirations of the Sikh nation. The Sikh genocide 1984 petition has been initiated by the Sikhs for Justice and AISSF and it shall be submitted to a UN body on November 1, 1984 with approximate 1 million signatures.